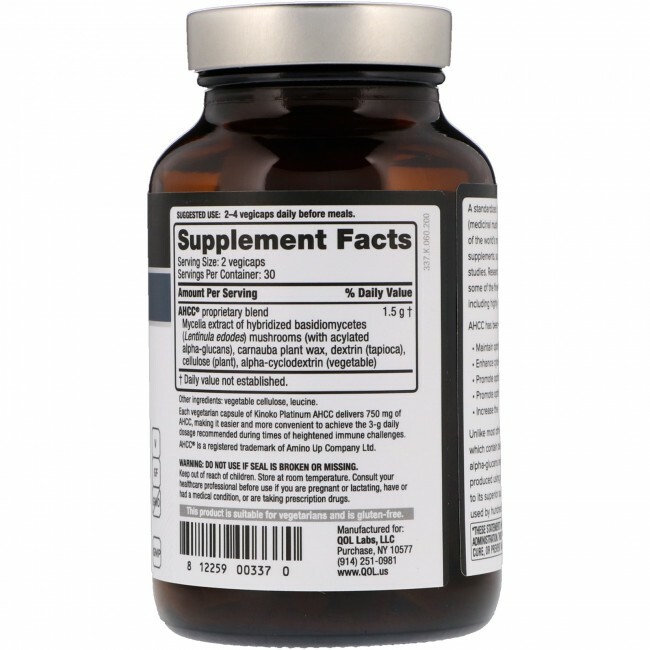 Purchasing this item will earn you 279 reward points (Loyalty points $2.79) ! Quality of Life Kinoko Platinum AHCC 60 Vegie Caps is one of the world’s most researched specialty immune supplements, supported by over 20 human clinical studies. 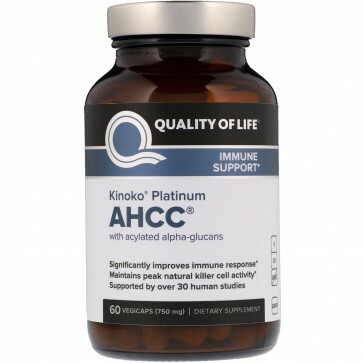 Quality of Life Kinoko Platinum AHCC 60 Vegie Capsis one of the world’s most researched specialty immune supplements, supported by over 20 human clinical studies. Studies on AHCC have been conducted at some of the finest research institutions worldwide, including highly regarded Ivy League universities and major health centers. Suggested Use: 2–4 vegicaps daily before meals.